Your current mortgage must be FHA backed and originally closed as a FHA loan. It does not matter who your original mortgage company was, or who you currently make your payment to. You must have made on-time loan payments for the past 12 months. Your FICO credit score has to be at least 620 or higher. In addition to various individual mortgage lender requirements, you need to meet the FHA “net tangible benefit” policy, which says that refinancing will either help you avoid future mortgage rate increases (refinancing from an adjustable rate mortgage to a fixed-rate loan will satisfy this) or will reduce your total monthly payment – including principal, interest, and mortgage insurance – by at least 5%. The interest rate doesn’t have to drop by 5% – just your new mortgage payment. Like any insurer, the FHA charges premiums to cover its liabilities. As a homeowner, you pay these premiums in the form of an upfront payment and recurring monthly fees. 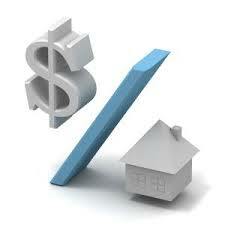 As of June 2012, a standard FHA refinance loan upfront premium is 1.75% of the loan amount. The monthly fees amount to 0.85% of the outstanding balance on an annual basis. The FHA altered the pricing only for streamline refinance loans used to replace FHA loans issued before March 31, 2009. You now have to pay only a 0.01 percent upfront premium and annual premiums that are equal to 0.55 percent of the loan amount. This means you could save several thousand dollars with a streamline refinance versus a standard FHA loan. On a standard FHA or conventional refinance loan, your lender orders an appraisal to ensure that your home’s value exceeds the loan amount. With a streamline refinance mortgage, the lender uses the same appraisal that you used when you first financed the home. This means you can refinance even if your home’s value has plummeted since you bought it. It also means you avoid paying $425+ to cover the cost of a new home appraisal evaluation. In addition – with a standard FHA loan, you have to get a home inspection and conduct any safety-related home repairs before you can close on your loan. With a streamline refinance loan, you have to remove lead paint from your home ( which most don’t have) This speeds up the closing process. Some lenders may require you to conduct other necessary maintenance on your home, but any such requirements are required by the mortgage company rather than the FHA. From the time a mortgage company orders an appraisal, it normally takes 10 days before the appraiser finishes the report. Since you don’t have to wait on a new appraisal, FHA streamline refinance loans are much quicker to process. Additionally, the FHA often times doesn’t require the lender to check your credit report or to verify your income. Reduced paperwork means a faster turnaround time, although your lender does have the right to check this information to see if you meet its own eligibility guidelines. FHA streamlines often close in as little as three weeks. FHA streamline refinance loans offer you a way to lower your housing expenses. You can only refinance a fixed-rate FHA loan with a streamline refinance mortgage if the new loan means a reduction in your monthly principal and interest payments. The only way your payments can increase is if you refinance from an adjustable-rate loan (ARM) to a secure fixed rate 15 or 30 yr mortgage. Either way you benefit because either you have a lower payment or you escape from the uncertainty surrounding adjustable rates. With other types of refinance loans, fees could cause your payment to rise. Please call us 7 days a week at ph: 800-743-7556, or visit our FHA Refinance page for more information.